A coffeemaker is (obviously) a cooking appliance that is used to brew coffee. There are many different types of coffeemakers that utilize different brewing methods, but the one that we are going to focus on is the most common — drip coffeemakers. A drip coffeemaker works by placing the coffee grounds in a filter inside a funnel. Water is poured into a separate container, heated to the boiling point, directed into the funnel and then allowed to drip through the coffee grounds, essentially turning into your cup of coffee. 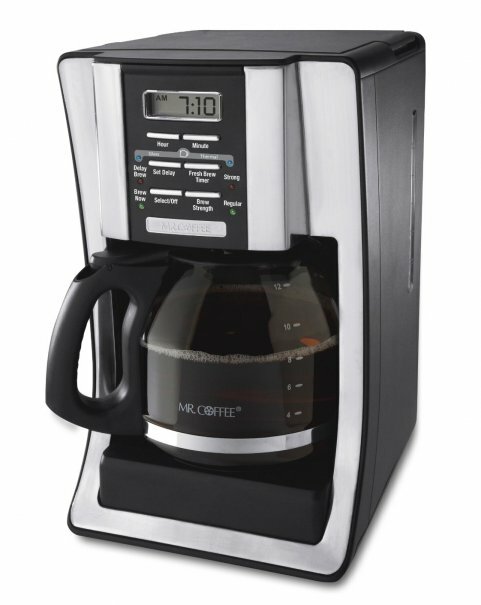 A Consumer Reports Best Buy, CR cites the Mr. Coffee BVMC-SJX33GT to be one of the most highly recommended drip coffeemakers they've tested. Users agree, stating that its removable filter helps make it easy to clean and that it produces high quality, hot coffee. This Mr. Coffee can make up to 12 cups of coffee in a single brew and has a pause-and-serve feature that allows you to pour a cup of coffee while the machine is still brewing. Finally, it can take both glass and thermal carafes — if you're using glass, it can keep your coffee hot for two additional hours. Currently $39.99 on Amazon. Another user favorite, the Cuisinart DCC-1200 has a brewing capacity of 12 cups and comes with a number of features to help facilitate the creation of your coffee. 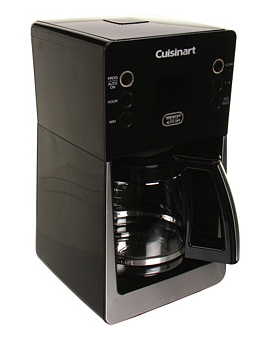 The quality of the coffee that comes out of this Cuisinart is highly rated, helped in no small part by the charcoal filter inside the coffeemaker that filters chlorine out of the water that goes into your coffee. The brew-pause feature on this Cuisinart allows you to remove the carafe for up to 30 seconds to pour yourself a cup before brewing has completed. Finally, the DCC-1200 contains a 24-hour advance start, automatic shutoff, and small-batch features. Currently $75.00 on Amazon. 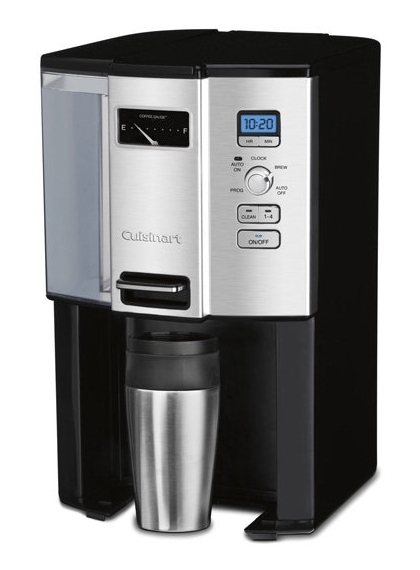 Highly recommended by Consumer Reports, the Cuisinart DCC-3000 is built with its own 12-cup coffee reservoir, allowing you to brew and dispense coffee without the use of a carafe. With a push of a lever, the DCC-3000 dispenses one cup at a time and contains an easy-to-read gauge that tells you how much coffee is left. The DCC-3000 contains all of the features found in the DCC-1200, including the programmable 24-hour advance start, auto shutoff, and small-batch settings. Finally, both its coffee and water reservoir are removable for easy cleaning. Currently $91.50 on Amazon. 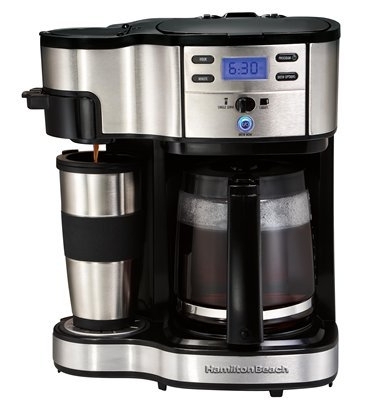 The Hamilton Beach Two Way Brewer allows coffee lovers to brew their coffee in one of two ways — into a traditional glass carafe that can hold up to 12 cups of coffee, or as a single cup serving. A "carafe side" and a "single-serve side" lets you choose how much coffee you want to make in that session. Other features of the Two Way Brewer include 24-hour advance start, 2-hour automatic shutoff, brew strength selector with choices between Regular and Bold flavor, and a packaged 14 oz. stainless steel travel mug. Currently $77.49 on Amazon. 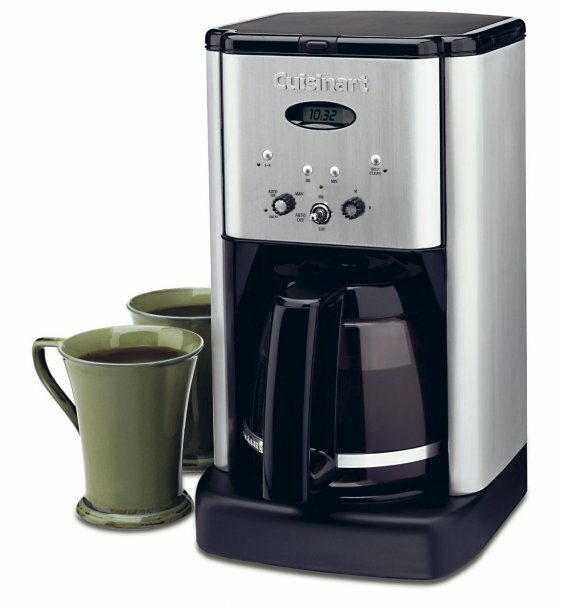 Another coffeemaker recommended by Consumer Reports, the primary feature of the Cuisinart Perfec Temp is the advanced heater design that brews higher temperature coffee than what most other coffeemakers produce. This Cuisinart also comes with brew strength control and a brew pause feature. Currently $96.37 on Amazon. And with that, you should have all the necessary ingredients to begin making the perfect cup of coffee right at home. As always, be sure to check out the Wise Bread Buying Calendar to learn when and how to buy just about anything! I'll have to chime in and give you my opinion on the best VALUE in a coffee maker. What many people don't know is that the correct temperature to brew coffee at is between 195 and 205 degrees. Typically, you will have to pay more (much more in many cases) than $100 to get a high end coffee maker that brews at that temperature. There is one exception, that is the GE 12 cup coffee maker. This unit appears to be made exclusively for Walmart and brews coffee at 195 degrees. At $39.92 it is a real value. The model number is 169209 and the Walmart number is 001593574. If you Google "Walmart 001593574" it will bring links to it up. It's currently back-ordered online but may be available at local stores. Although I'm a tea drinker myself, I do like the gurgling noises and pleasant smell coffee machines kick up. These seem like an excellent bunch. The one in our office has an unusual design where the coffee drips off the plastic lid into the glass pot. I'm not sure I'd be happy about drinking from that, but I don't anyway so it's not up to me to comment! A "best tea devices" article would be great! You can buy some really interesting tea immersion gadgets, like sharks fins. Pretty cool. How did the Behmor Brazen not make your list of top coffeemakers? Its got pre-soak for acurate blooming and is temperature adjustable from 190 - 210 degree F. Coffee should be brewed at around 195 to 205 F or just below boiling. Most of the machines on your list (if not all) will not get above 165 F or so. Heck, it the Brazen is even adjustable for changes in altitude! I think that Cuisinart is represented well in this list of top coffee makers. The DCC-1200 makes a great pot of coffee and offers a good level of value for money. I've tried out multiple brands and models of coffee makers over the years and I think that Bonavita BV-1800 could have entered this list easily. So could have the Technivorm Moccamaster. Anyway, overall I've found some good value options in this top.